The short answer: it depends on the college. But more importantly, it depends on you! 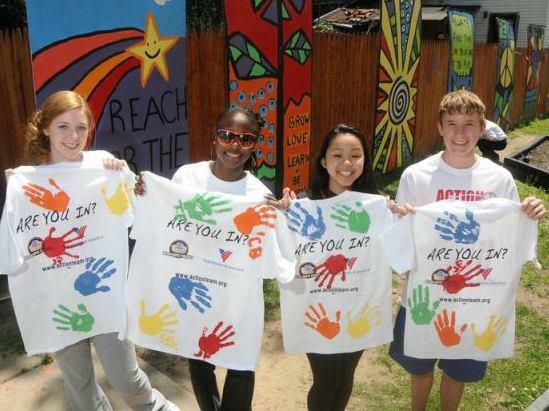 Colleges do indeed value applicants who have volunteered their time in service to others. However, summer volunteer experiences have become so commonplace that colleges now focus on the quality of work rather than just the number of service hours logged. Does a student’s volunteering demonstrate a consistent, long-term commitment to a cause, or was it a one-time mission trip the summer before senior year when students are all trying to build their resumes? Working two hours a week for several years on a cause that’s meaningful to you matters a lot more to colleges than 300 services hours during a trip that was likely paid for by the parents. “These colleges are getting very similar essays again and again, and they are so curious about who you are,” says Sara Haberson, a contributor to NBC’s TODAY and college admissions counselor at the Baldwin School in Bryn Mawr, Pennsylvania. Although we offer much more than volunteer opportunities, Volunteers of America provides high school students a chance to make this sort of long-term commitment through the Action Team program, a national youth service partnership with the Major League Baseball Players Trust. Students can join as a freshman, making a full four-year commitment, or at any time during their high school years. Working together with Major League players, they receive support and opportunities to improve the lives of kids, families and seniors right in their own backyards. Students can be active participants all the way up to graduation, and share that commitment on their college applications. Making your volunteering personal and connecting it to your interests or future goals is another thing college admissions counselors encourage. The best approach to take with your applications, whether it’s discussing your volunteer experiences or any other aspect of your background, is to be yourself. Many applicants try to contort themselves to fit with what they think colleges want to see, or they approach applications like an assembly line, meeting deadlines and rehashing the same tired essays for as many colleges as possible. But to really set yourself apart, students need to be genuine and share experiences like volunteering that have sincerely mattered to them. College admissions staff are savvy. They recognize when an experience like volunteering speaks to who you really are as a person, or if you did it just to make your applications look better. Find those opportunities where volunteering overlaps with other important aspects of your life, and explain in your applications how commitment to this cause helped you move closer to become the person you aspire to be. For example, if you want to become an engineer, you could tutor younger or less-privileged children in science and math. Simply put, being authentic in how and where you want to volunteer can make all the difference in how colleges view your altruistic efforts. The Major Leaguers who volunteer in the Action Team program have that authentic mindset. They are eager to train and inspire the next generation of volunteers. “It’s great when you can help people out and put a smile on someone’s face. The feeling you get from that is worth more than anything I have ever done on the baseball field,” said Pitcher Craig Stammen. So it’s not just about one mission trip, or shoveling some winter snow off your neighbor’s driveway a couple of times. It is an ongoing commitment that can begin early in life and stay with you throughout your adult years. Just be yourself and volunteer from your heart. Connect your volunteering to something you are passionate about, something that moves you enough to give up your personal time. Let your volunteer role lay a foundation for your future endeavors. Be confident in yourself that when you say, “I volunteer,” it means something. Good luck with those college applications!